youngest daughter Grand Duchess Olga Alexandrovna. and Xenia to their Swiss tutor Ferdinand Thormeyer. 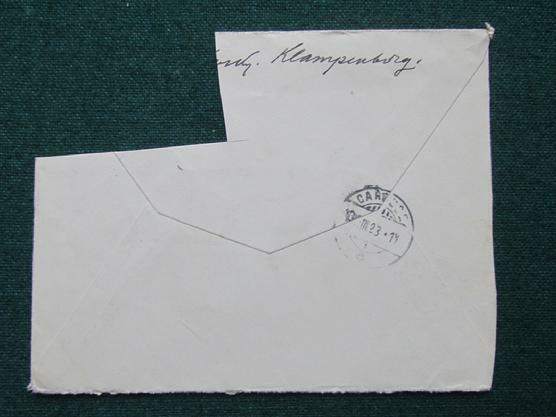 to turor Ferdinand Thormeyer in Switzeland. Original and extremly rare item, from Romanov Dynasty. Revolution came to Russia in 1917, Despite the overthrow of the monarchy in 1917, the former Dowager Empress Maria at first refused to leave Russia. Only in 1919, at the urging of her sister, Dowager Queen Alexandra, did she begrudgingly depart, fleeing via the Crimea over the Black Sea to London. King George V sent the warship HMS Marlborough to retrieve his aunt. After a brief stay in the British base in Malta, she travelled to England, to stay with her sister, Alexandra. Although Queen Alexandra never treated her sister badly and they spent time together at Marlborough House in London and at Sandringham House in Norfolk, Maria, as a deposed dowager empress, felt that she was now "number two," in contrast to her sister, a popular dowager queen, and she eventually returned to her native Denmark. After living briefly with her nephew, King Christian , in a wing of the Amalienborg Palace, she chose her holiday villa Hvidøre near Copenhagenas her new permanent home. Hvidøre House (Danish: Hvidøre ) is a former country house at Klampenborg, just south of Bellevue Beach, on the Øresund coast north of Copenhagen, Denmark. It is most known for serving as the home of Dowager Empress Maria Feodorovna of Russia, who was the daughter of King Christian IX after she was exiled by the Russian Revolution in 1917. Maria Feodorovna, born Princess Dagmar of Denmark, fled Russia and took up residency at Hvidore until her death in 1928, together with her daughter and son-in-law, Grand Duchess Olga Alxandrovna and Nikolai Kulikovsky, and their two children. In 1930, following the loss of their mother and the earlier death of their aunt, Olga and her sister Xenia sold Hvidore. literature to the Romanov imperial children. him letters, partly as a way of practising their French. 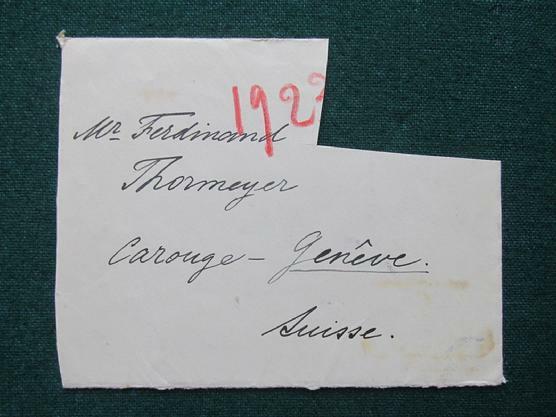 Ferdinand Thormeyer – Siocha to his imperial correspondents – came from the Geneva district of Carouge, and was appointed French tutor to the children of Alexander III in 1886, when he was 28. Hvidøre House is a former country house at Klampenborg, just south of Bellevue Beach, on the Øresund coast north of Copenhagen, Denmark. It is most known for serving as the home of Dowager Empress Maria Feodorovna of Russia, daughter of King Christian IX and mother of the last Emperor of Russia, Nicholas II, after she was exiled by the Russian Revolution of 1917.